Bishop Mark Davies of Shrewsbury has dedicated 2019 as the diocesan Year of Holiness. In a pastoral letter read in the churches of the Diocese of Shrewsbury on the First Sunday of Advent, Bishop Davies noted dark shadows in both the world and in the Church, where, he said, “failures in the lives and witness of Christians” had obscured for many people “the clear light of Christ shining from her”. He reminded the Catholics of the Diocese that the ultimate goal of every Christian life was to become a saint and he told them that the wisest response of Christians to the crises of the times was to strive with renewed commitment toward holiness. “Our renewal in holiness”, Bishop Davies said, “is the only renewal of the Church that will ever matter”. 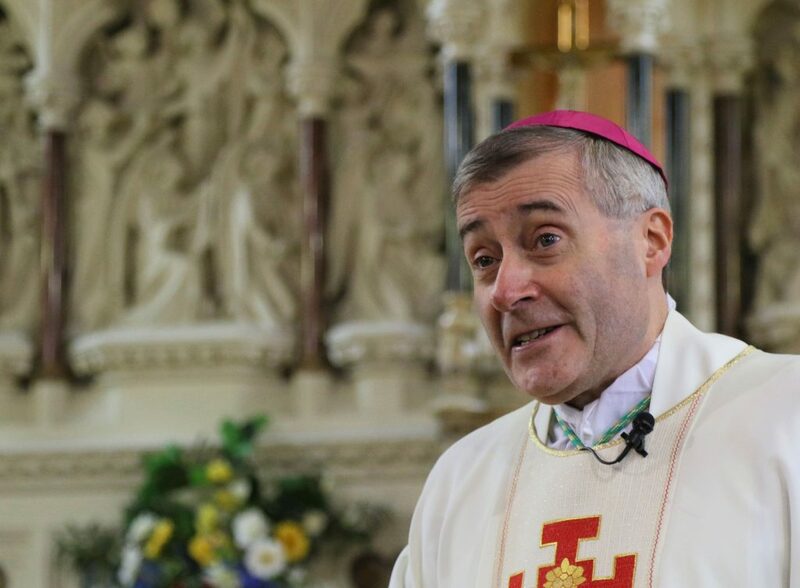 Bishop Davies quoted advice of Pope Francis that Christians should not settle for a “mediocre existence” because it was “only by being holy that we can be truly happy”. But holiness, the Bishop added, was unobtainable, without the help and grace of God. He recommended daily prayer, frequent Confession and, above all, the Holy Eucharist as the “Divine means” to reach the goal. Bishop Davies said: “As the Diocesan Year of the Eucharist comes to its close, it is this universal call to holiness which I wish all of us, clergy and people, to focus upon anew. “It is striking that, amid all the crises of the 20th Century, the central message of the Second Vatican Council was that every one of us, in every state of life, is called to the fullness of the Christian life and the perfection of love: that is, called to become nothing less than a saint. “This is the only renewal of the Church which will ever matter, our renewal in holiness. It is why only saints resolved the crises the Church has faced throughout history and why they have proved to be the great evangelisers.